Rooflines & Windows Northwest - Fascia/Soffits/Guttering, Windows/Doors/Conservatories based in Prestwich, Greater Manchester. 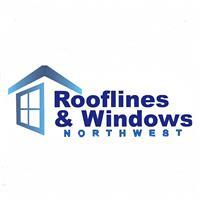 Rooflines & Windows Northwest offer outstanding UPVC installation throughout the northwest. With over 10years experience in the industry we strive to provide the best quality of service. We guarantee all our work and don’t take any upfront payments (apart from a small deposit on window and door orders) so you can guarantee to be 100% satisfied or don’t pay.